It's typically the showpiece of any space: the chandelier. 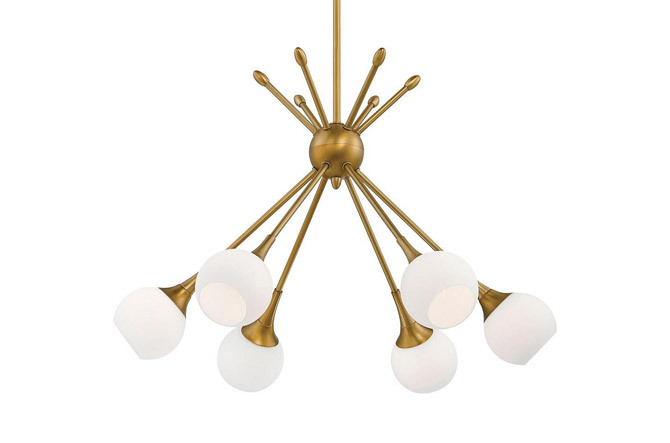 It can accent or even anchor the design of a room, but because the chandelier is typically the pièce de résistance, it often has the price tag to go with it. 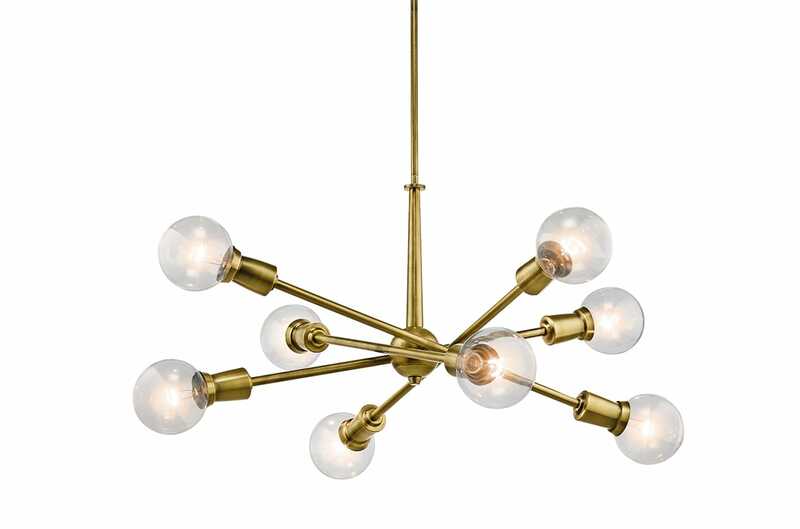 Below, we've rounded up our 10 favorite modern chandeliers worthy of statement-maker status. 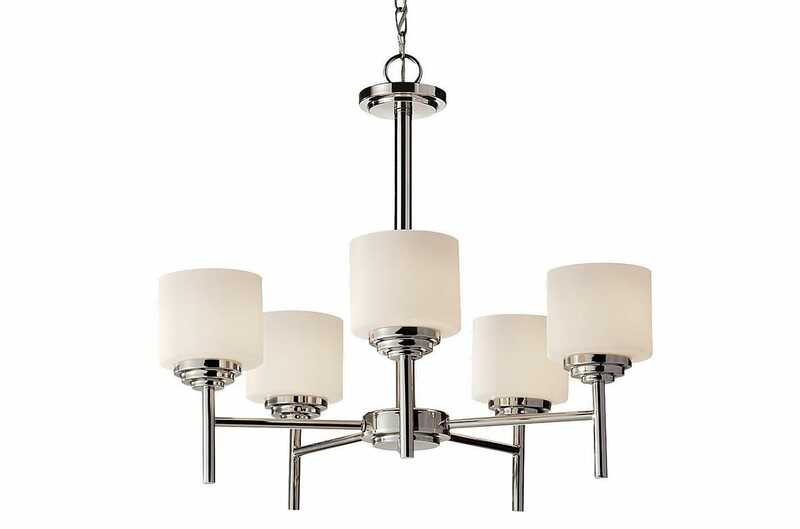 The perfect blend of modern and classic, with clean lines, candelabra-style bulbs and subtle detailing. 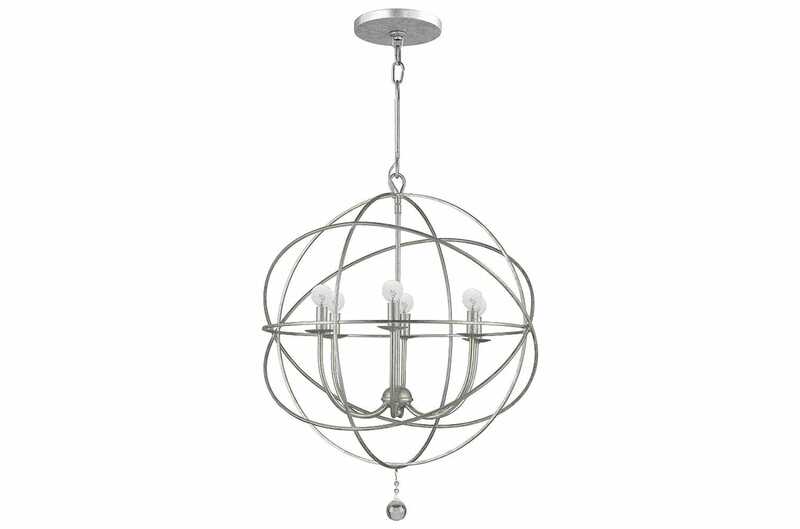 This chandelier would fit in equally well in a contemporary space as it would a more transitional one. Try it: Over a kitchen island or in a foyer. 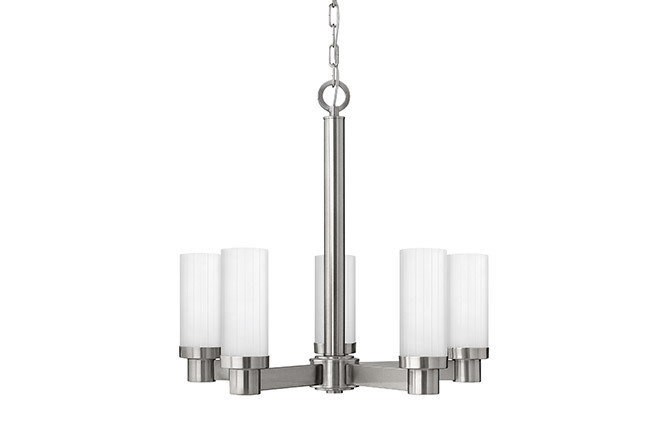 Crisp angles and a shiny finish make this a versatile fixture to complement a variety of modern spaces. Try it: Over a breakfast nook or dining table. 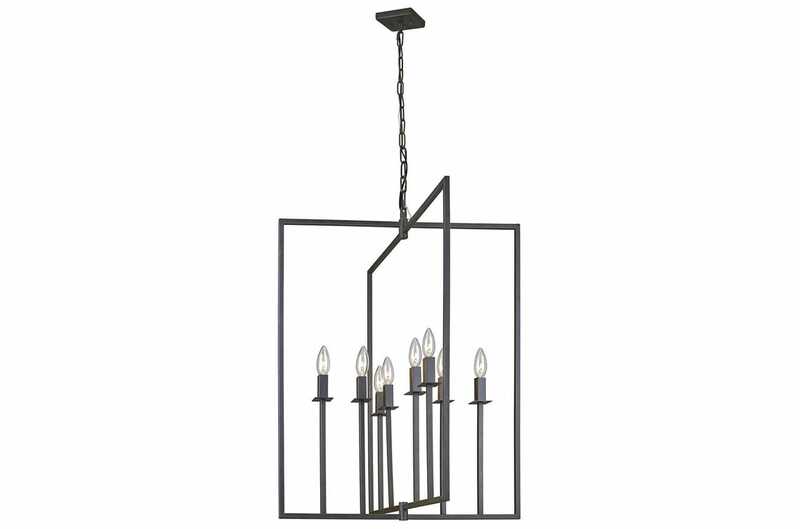 Fully adjustable arms make this chandelier a versatile piece that can go from a more transitional square shape to completely flat and modern. Try it: A pair over a large dining table or in a stairwell. 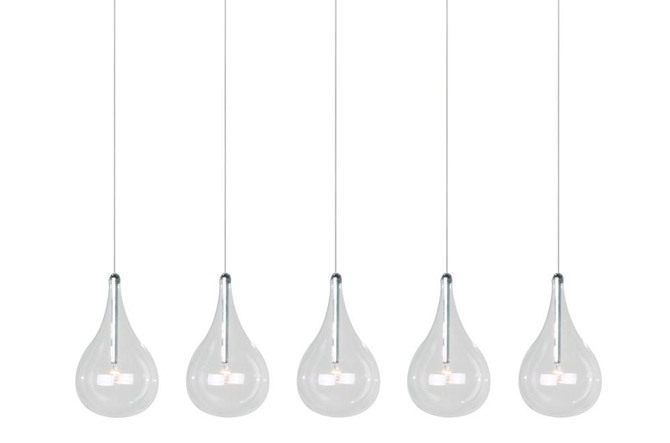 Taking its name from the French word for teardrops, the Larmes' glass shades are simple and delicate, lending itself to a variety of applications for ambient lighting. Try it: Over a kitchen island or above a rectangular dining table. 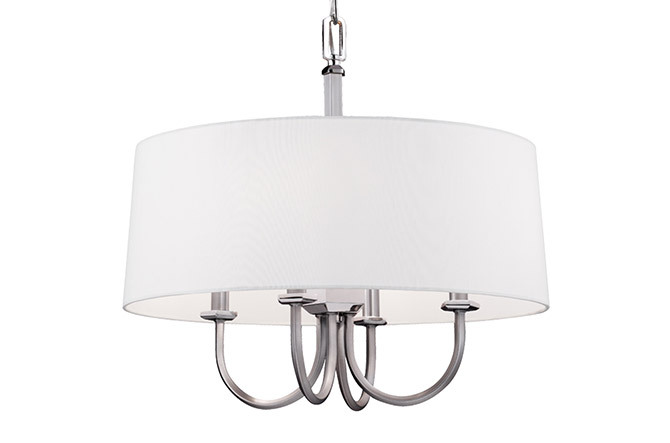 A timeless design, with a two-tone, classic chandelier shape tucked under a modern silk shade. Try it: Above the dining table or even in a bedroom or kitchen. 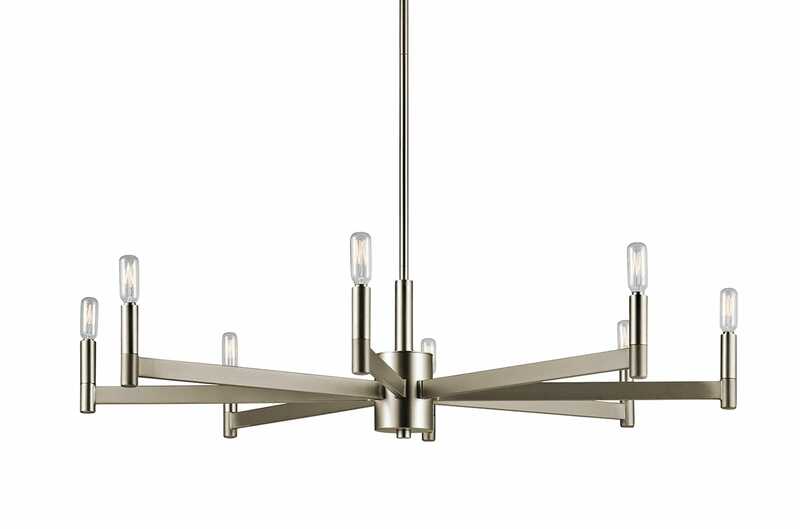 Midtown, uptown, downtown—the updated chandelier silhouette makes this a flexible style that works just about anywhere. Try it: Above the table in the dining room. Equal parts functional light source and decorative sculpture, the Pontil earned its name from its resemblance to the traditional iron pontil rods used in glassblowing. Try it: Over a dining table or as the ceiling fixture in a kid's room. A modern candelabra with a minimalist feel, Erzo provides broad ambient light with a clean, sleek design. The stripped-back, industrial look packs plenty of style into a spare silhouette. Try it: Over a dining room table or in an airy entry. A refined representation of industrial design, with wrought iron rings surrounding a mini Edison-bulb chandelier. Try it: In a foyer or in multiples over a kitchen island or dining table. 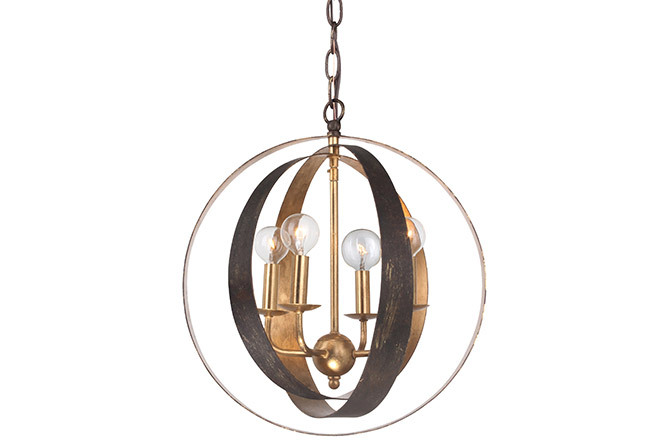 A little industrial, a little sputnik and a little vintage, rolled up into one. The clean mix of styles ensures it works well in both transitional and modern spaces. Try it: Over a kitchen island, dining table or in a foyer.